7516 ft (2291 m) . 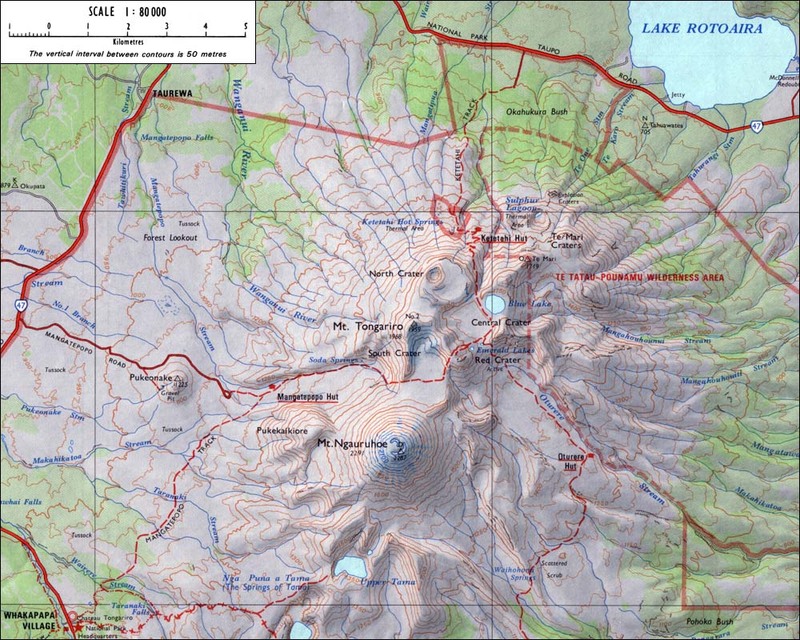 Ngauruhoe is a strikingly symmetrical cone located at the southern end of the Tongariro volcanic complex. Its form is due to youth and vigor, as the entire cone has been constructed within only the past 2500 years, and it has been New Zealand's most active volcano during historical time. 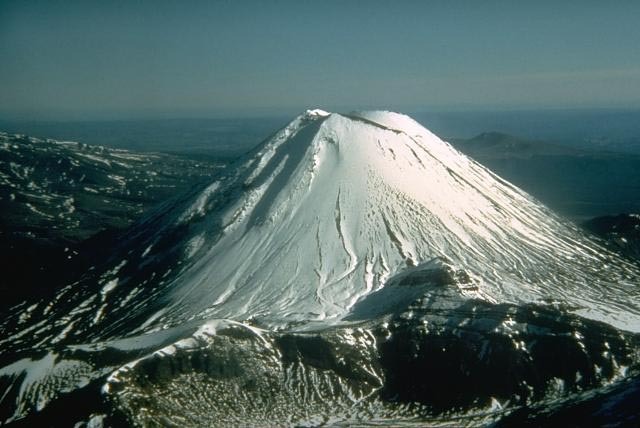 Ngauruhoe is a superb ski descent by any of the several routes which pass between the freshest lava flows outside the rim of its 400 m (1/4 mile) wide crater. 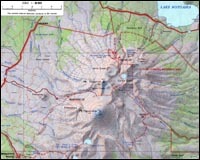 The ascent and ski descent can often be combined with a ski traverse of the Tongariro massif.